TechPats has both in-house experts and a wide network of consultants with deep experience as testifying experts. The breadth of knowledge and industry expertise of the TechPats team ensures that you have an unbiased, qualified, and appropriate expert witness on the stand. Your case likely doesn’t just need in-depth technical knowledge of an expert witness–you also need an experienced veteran who is objective, professional, and able to communicate effectively in writing, during a deposition, or in front of a judge and jury. When headed to court for IP litigation, you need the appropriate team of legal, technical, and patent experts supporting your case – which often includes the vital role of a testifying expert witness. From our in-house team or our broader network of highly qualified consultants, TechPats can streamline the process to help identify the right testifying expert for your specific questions of patent infringement, patent validity and the PTAB/IPRs, claim construction (below), and damages. The expert witnesses at TechPats have decades of experience with complex patent litigation cases and supervising patent litigation support teams. We have extensive proficiency in drafting expert reports, declarations, and presentations, in addition to providing deposition and trial testimony, for a diverse range of clients in a variety of different industries. Under the direct supervision of the expert, and working with the litigation attorneys, TechPats’ in-house litigation support team ensures your work is not only completed on time, but also at a cost advantage to your company or client. 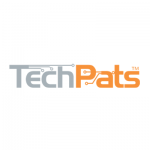 TechPats evaluates each potential project on a case by case basis before offering support. TechPats’ in-house testifying experts and wider network of expert witnesses have participated in dozens of patent infringement cases over the past 20 years. You can trust the experts at TechPats to provide an unbiased, thorough evaluation of whether a patent claim is infringed or not. More importantly, our testifying experts are true professionals and can provide detailed explanations as to the technological issues surrounding questions of infringement. TechPats typically believes that high-quality, litigation-ready claim charts are the keys to any infringement or non-infringement discussion. Our experts and litigation support teams thrive in complex challenges such as when there are multiple patents or products in the dispute. Their testimony and reports walk through their findings on an issue of potential infringement. The basic principle of determining whether a piece of technology is infringing a patent is to construe the patent claim for scope and meaning and then compare the claim to the accused product to determine infringement. We understand that infringement of a patent claim requires that each and every claim element must be present in the accused product. Working with counsel, our testifying experts can provide technical support and explanations in presenting a case for infringement or non-infringement, when called upon. TechPats recommends depending on a subject matter expert at the onset of a case, if not in the preparation stages. TechPats evaluates each potential project on a case by case basis before offering support. Whether you are challenging or defending a patent, it is important to have the support of an unbiased, independent expert who can evaluate prior art and clearly articulate the state of the art at the time of invention. Our impartial testifying experts have decades of industry experience in various technologies and are proficient in analyzing patents and prior art references for potential issues of validity. TechPats has a wealth of in-house expertise, as well as a broader network of academic and engineering consultants, to potentially work with as testifying experts and expert declarants. We typically have a technology specialist, e.g., a person possessing ordinary skill at the time of alleged invention, willing to speak with counsel and evaluate if the case is an appropriate project to take on. Our experts’ efficient collaboration with litigation teams can minimize potential problems and maximize value of the time spent. Working with counsel, our testifying experts can provide technical support and explanations in presenting a case for invalidity or validity, when called upon. TechPats recommends collaborating with a subject matter expert at the onset of a case, if not in the preparation stages. TechPats evaluates each potential project on a case by case basis before offering support. Our testifying experts and litigation support teams have years of experience in supporting hearings on claim construction. These Markman hearings are pretrial proceedings in federal court where each party offers evidence to the judge as to the appropriate meanings of relevant key terms in a patent claim that is alleged to be infringed. Working with counsel, our testifying experts can provide technical support and explanations in claim terms, when called upon. TechPats experts and litigation support teams have developed presentations, graphics, videos and demonstrations that highlight key issues and set the tone of the trial. TechPats evaluates each potential project on a case by case basis before offering support. Our testifying experts are unbiased professionals who can provide detailed explanations as to the technological issues surrounding patent and IP litigation. TechPats’ in-house testifying experts and wider network of expert witnesses have participated in dozens of IP cases over the past 20 years and are available to evaluate if they are appropriate for your case. Presenting a technological overview at any stage of an IP case is a key opportunity to frame the technical issues and explain to a judge or jury the state of the art at the relevant time. TechPats experts and litigation support teams have developed presentations, graphics, videos and demonstrations that highlight key issues and set the tone of the trial. TechPats evaluates each potential project on a case by case basis before offering support. Sometimes members of our technical teams testify as fact witnesses, rather than as expert witnesses. Our work in Reverse Engineering, as well as our Testing & Lab Services, is regularly used in a courtroom, as TechPats often provides independent testing and analysis. When there are issues of fact—disconnected from questions around infringement or validity—TechPats may be able to report and testify as to the results of independent testing, components identified in RE, and/or functions of certain devices and elements. TechPats and our experts are known to be professional and unbiased in their conduct and opinions. Before offering to collaborate or perform work, TechPats evaluates each potential project on a case by case basis to determine appropriateness for the expert(s) on a variety of criteria. Our expert witnesses and litigation support teams are compensated for their time working on the project(s), not the substance of their conclusions.